The school clinic is looked after by a full-time qualified Doctor and three full-time Nurses. Regular medical check-ups, immunization program and physical examinations are organized and their records are maintained as per DHA guidelines. 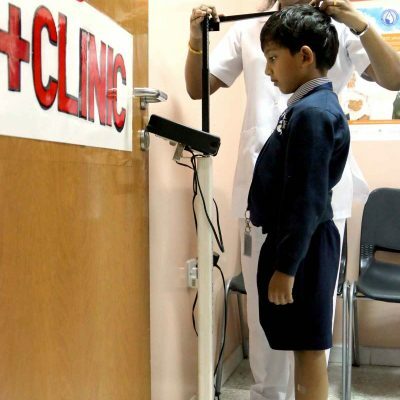 The clinic also conducts various health education sessions for parents and students. Parents are informed if the Nurse finds that a child needs special medical attention.